Hindman APC is a professional law corporation focused on civil litigation and trial. 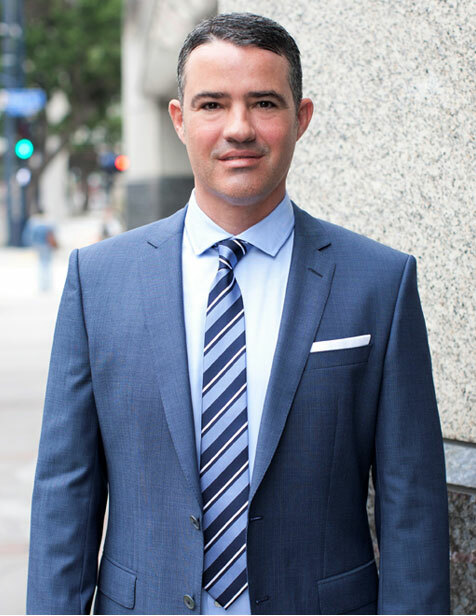 Located in the iconic Emerald Plaza in downtown San Diego, Hindman APC is dedicated to providing the highest quality, experienced and practical legal representation to people and businesses of all sizes. We handle business and intellectual property disputes. We represent people and businesses in insurance related lawsuits involving denial of coverage and bad faith. We also represent individuals who have suffered serious personal injury. Hindman APC represents individuals and companies in various IP matters including patent litigation, enforcement, IP strategy and licensing disputes. Hindman APC represents individuals and companies in breach of contract, business tort, fraud, misrepresentation and other business related claims. Hindman APC handles insurance related disputes involving denial of benefits, coverage and insurance bad faith. Hindman APC represents individuals who have been seriously harmed as a result of the misconduct of others including injuries involving negligence, products liability and wrongful death. For more information, or if you have a legal issue you would like to discuss, get in touch with us.